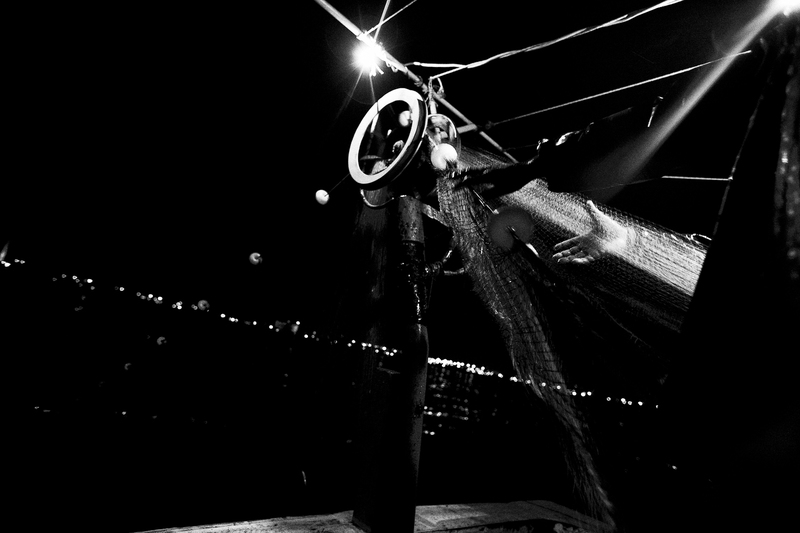 The fishermen pull the net from the Marmara sea off the coast of Istanbul on 22nd June 2010. At night, the boat lights up. Small car light bulbs are used, because they emit a lot of light and do not take much space. A floating buoy with a light beakon is fastened to the end of the net so that they can see it in the dark. And the strong reflector lights directed into the surface of the water help guide the fish in.